Buddhist Zen defined Japanese Samurai for over a thousand years, permeating their tactics, code of ethics, and lifestyle. Recently, there has been a resurgence in the importance of mindfulness- a large aspect of Zen itself. The US Army, among other branches, does many things to try and get an edge in combat, including reaching back thousands of years to the far east. Samurai Zen methods are being combined with newer science, such as biometric feedback to enhance warfighters. These same methods are being used to condition elite athletes, such as the Seattle Seahawks, as well. 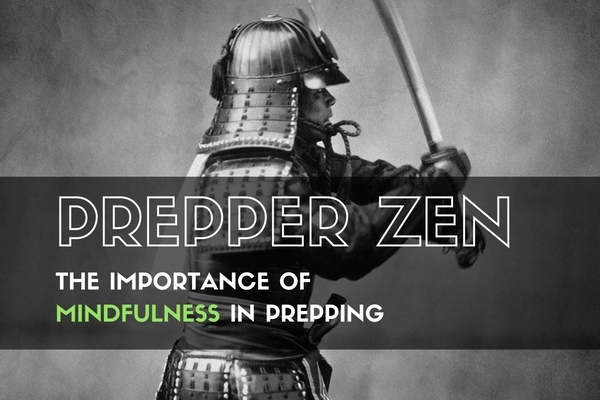 What is the secret to how Zen methods help samurai, athletes, and warfighters reach a higher potential? Mindfulness. Zen is, in large part, a cornerstone of Buddhism which originated in China. Buddhism spread from China to Vietnam, Japan, and Korea very early on. Zen emphasizes the importance of daily interactions with others, self control, and meditation. How is the Army Using Zen? The army has developed biofeedback tools to measure stress levels by monitoring heart rate and breathing patterns. While increased stress during Army training is good for troop growth, they have discovered that increased stress in a warzone is not helpful. This is not always the case during training, with a great example being the drill sergeant. Tactics to increase stress such as yelling, berating, and other methods are great for pushing a troops limits during training, they do not fare so well during battle. Encouragement, breathing exercises, and avoiding antagonizing comments can reduce battle stresses whereas yelling at other for mistakes does the opposite. They take this further with biometric feedback to develop breathing practices and meditation exercises to use during firefights to increase troops effectiveness and decision making abilities. When you strip the religious implications out of Zen, you have three basic ideas: breath control, meditation, and mindfulness. Breath Control: Have you ever used breath control while shooting a rifle? Controlling your breathing to manage your body while shooting is very relaxing and can also help clear your mind. Stopping, and counting down from 5 and exhaling is a well known form of controlling your breathing and can calm you during stressful situations. This technique is often used in anger management to help you control your decision making. Meditation: Whether you know it or not, you have already meditated before- probably even earlier today. Whether you were thinking about your day in the shower, or saying a prayer today, you have meditated. Meditation is very broad and covers almost all forms of self-reflection, inward thinking, and prayer. The type of meditation that Zen focuses on is using your self-control to clear your mind of all thoughts. This can be relaxing, good for your health, and help you focus. It may be difficult to achieve in stressful situations, but it is a good way to manage the stress. 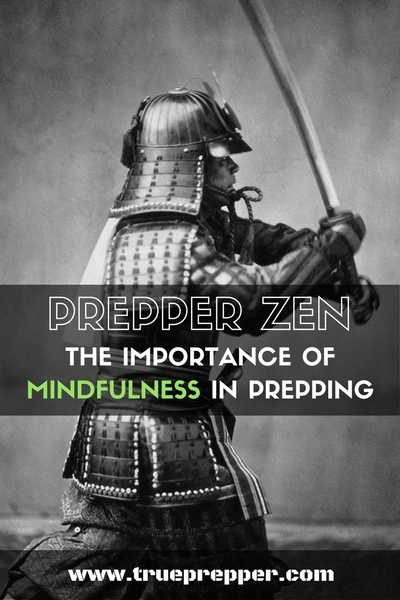 Mindfulness: Being aware of yourself and how you are reacting to the present is one of the most important aspects of Zen and it is very important to a prepper. Calmly recognizing your thoughts, feelings, and bodily sensations without acting brashly is extremely important during emergencies. Mindfulness can enable you to make concise, clear decisions and a true asset if SHTF. Simply being aware of your thoughts when you are in a bad situation can help you make better decisions. Monitor your physical symptoms: It may be difficult to recognize when you are over stressed until it is to late and you have already made decisions brashly. Fast onset stress is almost always accompanied by an elevated heart rate. Monitor your heart rate with a FitBit or other heart rate monitoring device to stay one step ahead. Plan your reaction method: Mindfulness-Based Stress Reduction (MBSR) is a good starting point. Pick a method that works for you, practice, and stick with it. Feel free to try options until you find the right fit for you, or a variation of one that works. Option 1: Body Scan. Concentrate your thoughts on the sensation in your toes and work your way up. Stop at your chest and think about your breathing. Note any pains or tension in any area. Your body is in the present, and concentrating on it will help you ‘zero’ back in and lower your worries about the past or future. Option 2: Thought Focus. This is not about keeping your thoughts focused, this option is about focusing on your thoughts. Think about what you are thinking and how it makes you feel. Once you note your thoughts, re-focus them on the present. Option 3: Breath Control. Think about your breathing. Slow it down using a count and concentrating on timing. Breathing exercises are easy to do and are a great way to clear your mind and control stess. Practice your reaction method: None of the options work if you don’t train yourself to use them frequently. You will only use them in a stressful situation if you already feel comfortable doing it, like a routine. While we are not encouraging you to sign up for a new religion or lifestyle in Buddhism, it is interesting that there are aspects to learn from other cultures. The legendary Samurai culture shows the effectiveness of being mindful of your thoughts and actions in the most extreme situations. Calm decisions are usually the best decisions. Keep exploring, stay prepared, and be safe.